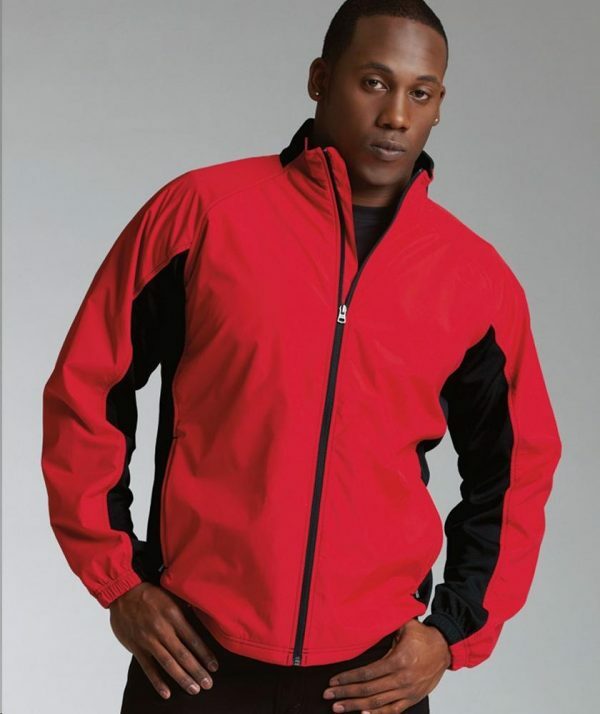 SKU: CR-9896 Categories: Men's Outerwear, Polyester Jackets, Men's Jackets, Outerwear Brands: Charles River Apparel. Multi-textured design with Softex Polyester accented with matte finished Polyknit at the sides and under arms, unlined. Contrast-colored zippers with inner wind flap, elasticized cuffs & zippered side pockets. Open hem with shockcord drawstring. Coordinates with Women’s Breeze Vest, style 5195.